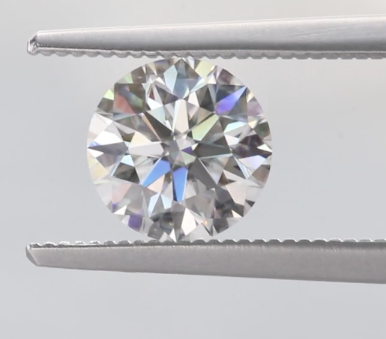 If you are looking for a “perfect” round, diamond alternative, this is the cut for you. An AGS 000 rating means that this stone is recognized as an ideal cut with regards to light performance, polish, and symmetry. Our Hearts and Arrows Round Brilliant cut displays a precise hearts and arrows pattern, while maintaining an ideal standard for light performance, polish, and symmetry. The custom design possibilities, endless. Something new! Step cuts are often seen as a three stone but look fabulous in a halo too. 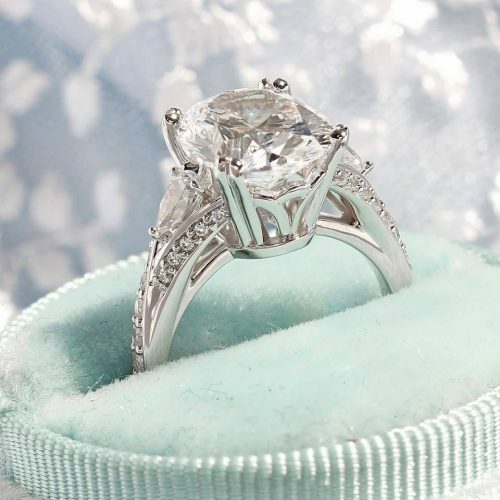 That’s the beauty of custom designing your engagement ring: every creative detail comes from you. If you want to experiment with a new cut or distinctive gem placement, we can guide you on the best way to do it. 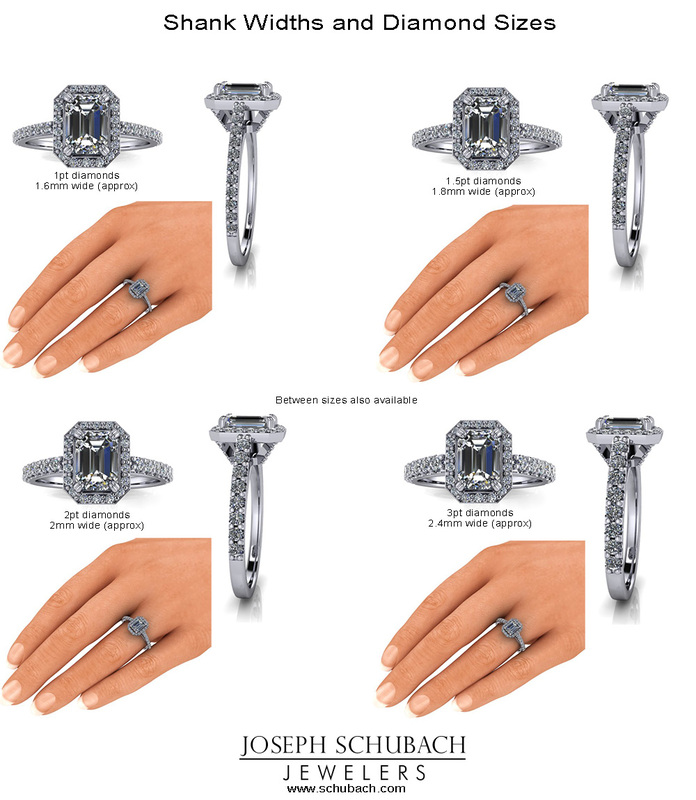 Your genius ideas + our custom design abilities = a completely unique and gorgeous ring! This piece is an ideal option for any of the moms in your life. You can mix and match the band designs, gemstones and metal colours to create the perfect one of a kind band, made just for her. Often when we talk about gem cuts, we think in terms of cut or the other. But our latest customizable engagement ring features several cuts that all work in tandem to create a unique, personalized look. Find out more about the possibilities of a customizable ring just like this. 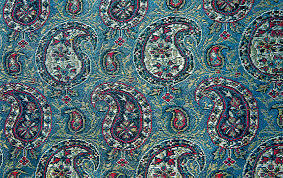 Most of us are familiar with the paisley pattern, a design with a lengthy history. Persian in origin, the design became popular in the West in the 18th and 19th centuries. What is a “paisley” exactly? Well, Paisley is a town in Scotland where paisley designs were produced. But the actual symbol resembles a twisted teardrop or a fig. Paisley became hot during the psychedelic era of the 70’s where the influence could be seen in decor, fashion and even in rock and roll (where bands like the Beatles brought this design motif into the forefront). But what about paisley design in jewelry? Often overlooked is the paisley imprint in jewelry making, which extends back centuries. A symbol of growth and fertility, the paisley motif can be seen in jewelry around the world. 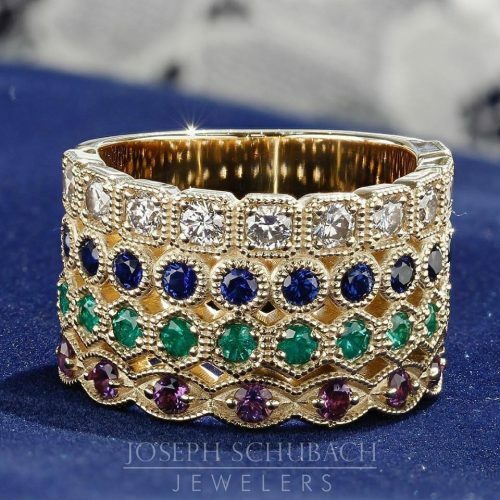 As custom design jewelers, we too have worked with this powerful design, most recently in the eternity bands below. What better symbol to represent long-lasting love than a design that’s been equally as long lasting? 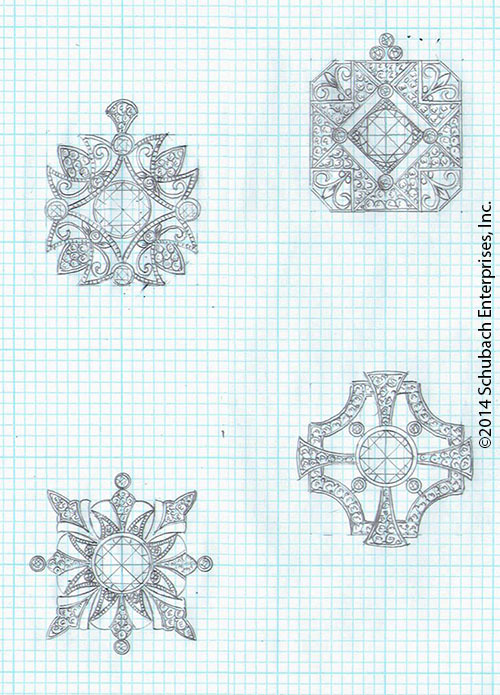 If you have a symbol in mind that you want integrated into your custom design jewelry, contact us. Do you have celebrity ring dreams? So do we! One of the most fabulous celeb engagement rings belongs to the lovely Blake Lively, and we are ready to recreate the glam look just for you! Shown here, with a massive 10x14mm oval moissanite center set in rose gold, this ring is nothing sort of amazing. 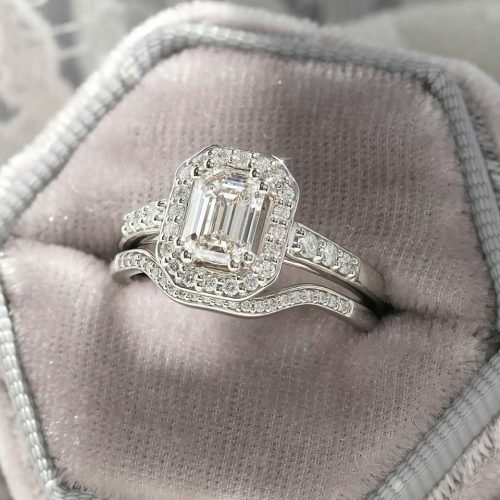 If 8ct feels a little *too* celeb for you, we can recreate this using the center stone of your choice. You can keep it like the original, and make this ring in rose gold, or make it all your own and pick the metal of your choice. This dazzling setting sparkles from all angles and showcases pave on all three sides of the shank, as well as under the center stone. Let us make your celebrity ring dreams a reality. The above is a CAD rendering to show you how this ring could look. Below is a real life version of this ring that we recently made with a round center stone. Check out the beautiful 10x14mm oval moissanite we have reserved for this design. This is quite possibly the last remaining 14 x 10mm oval Forever Brilliant moissanite left. These designs would be great for a pendant/necklace, bracelet, earrings, pins, or whatever else you can think of! Contact us for additional info. Here are some pictures of different ring and diamond sizes shown how they look on a hand. Hope this helps! Click on image below for a larger view.